Elevating the art of elevator chit-chat since 2008. Got a Sitch #2 – So you thought you could dance? “I need some advice for this terribly awkward situation many of us find ourselves in at a live music show…The band starts busting out a very “dance-able” tune. It takes you a couple minutes to get into it…sip your beer and drop a couple comments about how awesome the song is to your buddy. You’re groovin with hands in the pockets..little head bobbin’..scopeing out the dance floor and contemplating movement towards it. You finally decide to make the move..you strut to to the floor…and start “full-motion-hands-out-of-pocket” dancing…(now here’s the awkward part)…only a couple beats into your “dance”…you’re feelin’ it..it’s happening..and then suddenly song ends and you’ve been on the dance floor for like 5 seconds. This situation has the potential to amplify into an even more awkward situation if the next song they play is slow, and you don’t want to dance, but also, don’t want to leave because you just came on. The soloosh to this particular problem will depend on the type of show you’re at. Lucky for you, dear Reader, we have a few pieces of advice tailored to your tunes. 1. Rap concert: First, turn to the guy standing next to you and say “Can you believe that Fiddy Cent got shot NINE times?! !” Even though this is a well known fact, it is always a good ice-breaker amongst rap fans. Next, you can use this moment of silence as an opportunity to showcase your beat boxing skills for a captive audience. 2. Phish reunion concert: Heed the popular, if cheesy maxim “Dance like no one is watching” because no one is actually watching you. 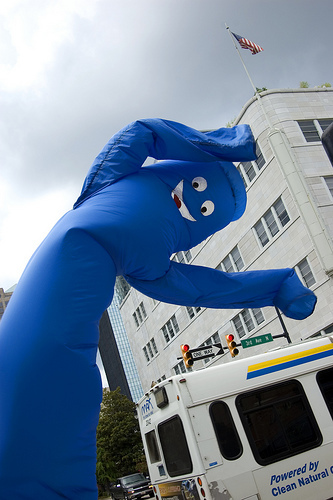 Everyone else is too stoned to care that you’re dancing after the song has stopped, so keep flailing those hippie arms like the wacky waving inflatable arm guy of used car dealership fame. We can see how beautiful your aura is when you dance! No words. Just laughter. So clever! If this is an indie concert, you should never groove, or even look at the band and anyone except in mild contempt. Shame on you for showing emotions.. shame! Got a Sitch #3 – Don’t speak! We know just what you’re saying.